A few months ago, right after I had returned from getting punched in the face in Virginia, a group of us went to play trivia at an Arlington bar. Now, I'm no stranger to team trivia. It is one of my favorite weekday pastimes, seeing as it very much beats coming home and sitting on the couch. Plus, I love a good competition in a bar --- clearly, based on my VA Beach Story! My issue with team trivia is deep seeded. I don't think I'm dumb. I mean, I do medium at Jeopardy when I watch and can easily figure out public transportation routes when in a new city, both of which to me scream, 20-something genius. So if I'm not dumb, why am I so terrible at team trivia? Oh, that's right, because it is completely targeted at men. Nerdy men. Men that may or may not have spent 1+ years in their parent's basement, playing battle galactic warcraft (or whatever it's called), and without a doubt have a mustard stain on their shirt right this very minute. Actually, scratch that last comment, I believe I have a mustard stain on the pants I'm wearing. You win some you lose some. Bar trivia these days is tailored to men who watch way too many movies, play way too many video games, listen to way too much indy rock music and, for some insane reason that I can attribute to nothing other than they clearly made flashcards to practice for team bar trivia, can tell you every single president, by year, in order, as well as their gardner, in order by most daffodils planted. This last round of trivia was hands down the worst though. For example, here is, verbatim, the first question asked, "What 1972 cyborg novel did something by something else written by this guy?" Me: "Yeahhhh, can I get another IPA?" You get my point here? This trivia is impossible. So I would like to introduce my newest venture that, as of April 22nd, I'm accepting very wealthy investors to back my company. I'll accept opening bids of $10,000. Please leave your bid, account and routing numbers in the comments and I'll be in touch. 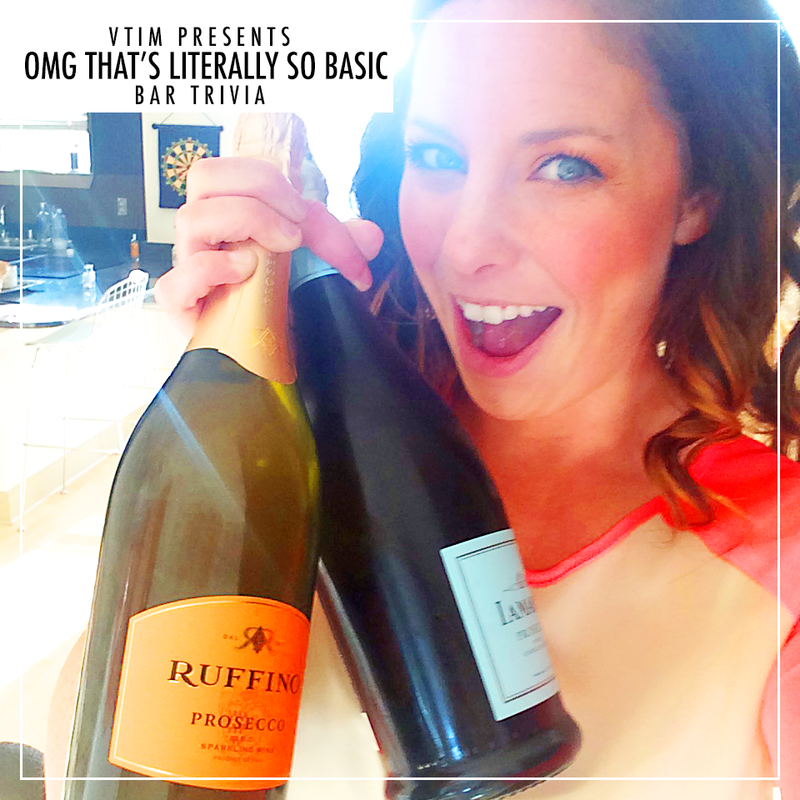 OMG That's Literally SO BASIC Team Trivia will take place in bars across the country. By bars, I mean wine rooms, martini bars, craft cocktail speakeasies, champagne lounges and dance clubs where Taylor Swift dominates the DJ's playlist. "We literally do not care"
"We woke up like this"
"Sorry Not Sorry for Winning"
"Where do all the bobby pins go"
"Insert Heart Eyed Emoji Here As Our Team Name"
Q2. Which is quite literally the best phone like, ever. Q6 What is Taylor Swift's Instagram handle? Q7. What are the two main colors featured on the seasonal cups at Starbs? Q8. What does #MCM stand for? Q9. In what city does this show take place? Q10. On what day did Aaron Samuels ask Cady Heron what day it was? Q11. What does ANTM stand for? Q12. Who is this person? Q13. Who was Gossip Girl? Q15. What is the name of Mindy Kaling's book? Q16. Who is this man? Q17. Finish this chorus, "Ladies leave your man at home. The club is full of ballas and they pockets full grown.... "
GOOD LORD I WOULD DOMINATE AT THIS TRIVIA!!! Don't forget, now accepting investors. $10,000 minimum buy in. A1. Yes A2. iPhone6 A3. Blanket Scarf A4. SJP A5. Aidan Shaw A6. @taylorswift A7. Red and white A8. Man Crush Monday A9. Miami A10. October 3 A11. America's Next Top Model A12. Kim Richards A13. Dan Humphrey (we will also accept Lonely Boy) A14. 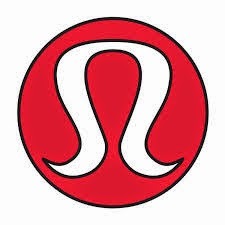 Lululemon A15. Is Everyone Hanging Out Without Me? (And Other Concerns) A16. 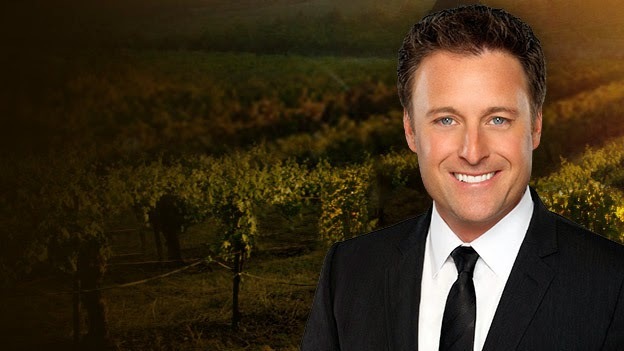 Chris Harrison A17. And all you fellas leave yo girl With her friends Cause its 11:30 and the club is Jumpin, jumpin A18. 10 Things I Hate About You A19. Devil Wears Prada A20. I venture to say the Note 4 has the best camera on a phone, but everything else I loved haha! This might be my favorite blog post ever.. I'm going to send it to Brian and he will proceed to tell me that he doesn't understand. Loser. We go to trivia often and I completely agree with your thoughts. Occasionally there is like "What fashion brand has Medusa as their logo?" and I'm like ya I was an Apparel Merchandising major but I don't know the answer and then they say it's Versace and I'm like nobody WEARS Versace anymore. The end bai. Amazing. I must admit, I kinda rock at regular bar trivia. I guess that means a geeky boy, but I take pride in that. Trivia is like my secret power, though. I'm always playing games on Sporcle, watching Jeopardy, etc. This is the best thing I have ever seen. Please go on a country-wide bar tour with this. Other than the fact I can't answer half of those, I just realized that I've been singing the lyrics to Jumpin' Jumpin' wrong for always. My favorite question: Q13. Who was Gossip Girl? Gosh, I miss gg. I can't wait until my niece is old enough for me to introduce her to Blair Waldorf & co. So, our local bar trivia place did "Seinfeld" Themed trivia for the Tuesday before Christmas (for Festivus...get it?!? ), and it was literally me + 8 guys, and guess who knew every. single. answer. That's right, the one girl at the table. So, you know, you're welcome for that $50 bar tab, guys! But seriously, I bet you ROCK the sports (SPORTS!) category every time though! Hahaha I live in Arlington and I go to trivia every week! I never get any better. If we were on a team at least you could handle all the sports questions and I could take care of the random questions that no one knows....I don't even know how I get the answer to some questions still. Girl this is brilliant! Brilliant! The first time I ever played Team Trivia was on a trip to Switzerland to visit some friends I had met while studying abroad their the summer before. It was October 2008 and my senior year of college as a Political Science major...the final category...which we needed to win to win the night...was the American elections. BAM. I drank free for the rest of that vacation. One of the questions was "Where will the next presidential debate be held between Senators Obama and McCain"...the answer was my alma mater. The second time I played Team Trivia...all of the categories were about the 90s...so I felt pretty damn good about that. one time we got accused of cheating because the bonus question was to name all of the states with more than one MLB franchise in them + a group of all girls got the answer first. I digress, if I had $10,000, I would invest it in your trivia franchise. haha thanks for the answers because i didn't know some of them ;) and omg the forever 21 exchange policy.. rage! You should really stop being so hilarious. In other news, as soon as I scrounge up $10,000 I shall invest in this immediately! I didn't know over half of those. I'm a loser. Do I have to turn in my woman card? I'm embarrassed by how many of these I don't know. Haha I love this! I could totally get on board with this trivia! This is a prime Kickstarter candidate... I think I could actually win this trivia! The team names are the best!! I looovveee trivia, but you're right, sometimes it could use some more basic questions!! Haha these are great trivia questions. I still can't believe Dan was Gossip Girl! I get so frustrated at trivia because with all my useless knowledge I should totally rock it. I am all for more trivia questions like this! I just checked if I still had a vajayjay because I could only answer 6 1/2 of these! OMG this is literally like brilliant, I cant even. hahaha I laughed so hard!!!! a friend keeps inviting me out to trivia and i keep saying no and now i want to go sooo bad. i'm going to take her up on it next time. I just laughed way too loud at work reading this. Lol! I just got back from my cruise vacation and I wish that the questions during trivia were like this. We definitely would've won. This post is hilarious. A lot of my nerdy high school friends are on trivia teams and whenever I would join them at the bar, I'm like OK, grab me a glass of wine, I can do this. Twenty minutes later and everyone is looking at me like I'm the dumbest person in the world for not knowing the name of that actor in that one cop show from the 80's. Isn't trivia supposed to be fun? I would rock this basic trivia, I hope this sweeps the nation like blanket scarves did on Instagram in 2014. I am literally getting ready to go play trivia at Bdubs. But this trivia sounds like a lot more fun. This is so fantastic!! You should make a post our of just trivia!